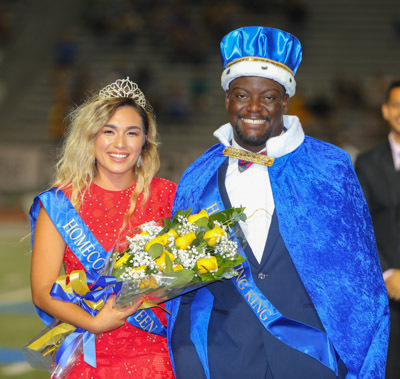 Samantha Olivarez, left, and Tomisin Alagbe, right, were named Homecoming Queen and King, respectively, at Texas A&M University-Kingsville Saturday, Oct. 21. Olivarez is from Pflugerville and represented Theta Phi Alpha. Alagbe is from Houston and represented Delta Chi.